Nintendo has been quite the success story over the past few years. It literally brought video games back from the dead and now it’s all the rage. Kids can’t stop talking about the new NES games on the horizon and Nintendo is set to have its biggest holiday season ever. The Chicago Tribune ran a story today that gives an inside look at the world of Nintendo. Check it out! The winsome Princess Zelda is in trouble again, back in the greedy clutches of Ganon, the Prince of Darkness, from whom she`s already been rescued millions of times by the elfin swordsman Link. You might expect Link to be exhausted after all that, but no. As the adolescent hero of the current best-selling (2 million copies at $39.95 each) home video game, Nintendo`s “The Legend of Zelda,“ Link needs only to be plugged in and he`s ready for action. Even when he`s unplugged, a lithium battery keeps his stout heart pulsing, his memories of recent battles with Ganon`s henchmen alive. In reality, the burden is borne not by Link but by the game`s players, most of them 8- to 15-year-old boys who sit before their color TV sets for hours, days, weeks on end putting Link through his electronic paces by pressing the controller buttons on the Nintendo Entertainment System. 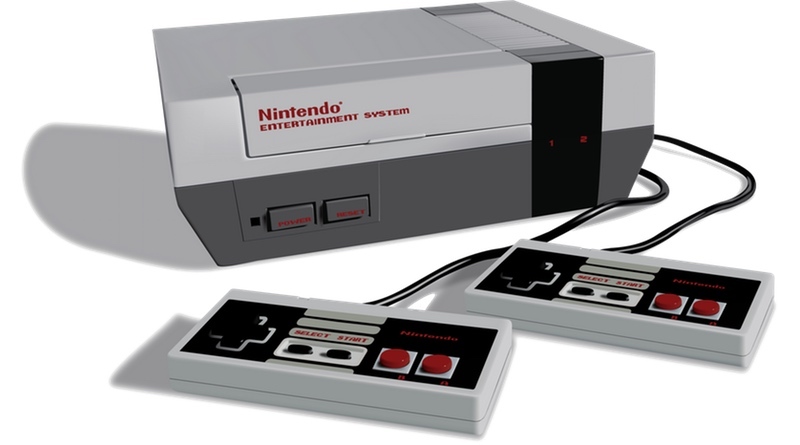 The NES, as the system also is known, is a small, sophisticated computer that runs not only “Zelda“ but also “Donkey Kong,“ “Super Mario Bros.,“ “Kid Icarus,“ “Mike Tyson`s Punch Out,“ “Rad Racer,“ “Duck Hunt,“ “Hogan`s Alley“ and more than 100 other video game cartridges, called Game Paks. A highly skilled youngster, says Howard Phillips, the 30-year-old president of the Nintendo Fun Club, can guide the intrepid Link through the mysteries and hazards of the “Zelda“ Game Pak`s two adventures-a total of 350 episodes-in perhaps 90 hours, a month of three-hour daily attempts. An average player will be lucky to finish in twice that time. Adults, of course, take much longer. The one adult exception is Phillips himself, who can outplay anyone, young or old. At least that`s the legend Nintendo encourages the kids to believe. It fits with Phillips` youthful visage, with his nerdy bow tie and even, somehow, with the 1966 Buick Wildcat convertible he drives to work. A late-blooming video wizard-he played his first video game only nine years ago-Phillips started with Nintendo as warehouse worker in 1981. He quickly turned his video game skills into a career and has since become a celebrity to the new generation of video game players he helped to create. “My job is to have fun,“ says the Fun Club president, whose formal title at Nintendo of America Inc., in suburban Seattle, is “product-analysis manager.“ More important, it`s his job to make sure Nintendo`s customers have fun, lest the company and its 30 software producers jeopardize their estimated 70 percent to 75 percent share of the home video-game market. Atari, Sega and Commodore divide up the rest. The industry rang up sales of $1.1 billion last year, of which the Nintendo group accounted for $750 million. Of the $2.3 billion industry sales projected for 1988, Nintendo expects to scoop up $1.7 billion. To keep the company moving, it is up to Phillips to test every new idea, to know what home video-game players like and dislike, to scout the video arcades looking for hits and misses, to influence the development of new games. He gets help from the 40 Nintendo “games counselors“ he supervises. Each week they field 40,000 to 50,000 telephone questions and comments from players. Given that hint, most players eventually discover the secret. Says one young player who did: “You go to the tip of the nose, kill the Wall Masters, push all the blocks, and the secret passage will appear.“ The nose of what, or whom, the youngster wouldn`t say. He may have a future as a games counselor. But the competition is tough. Those who get in may find themselves collecting more strategic information for Nintendo than they dispense. The games counselors and 70 other customer-support people keep track of the calls and also of the comments contained in the 14,000 letters they receive in an ordinary week. They`re looking for trends in the making and evidence of trends still going strong. As it turned out, “Super Mario Bros.“was supersuccessful, selling 5 million copies in 2 1/2 years. Even “The Legend of Zelda“ has a way to go before it catches up. With absolute confidence, Nintendo has begun to ship two more sequels, “Super Mario Bros. II“ and “Zelda II-The Adventure of Link,“ to toy stores all over the nation. Unfortunately, the supply is limited, and deliveries are running weeks late, the result of a worldwide shortage of computer chips. “ `When already?` is what I`m hearing,“ a toy store clerk in Anaheim, Calif., said late last month. “We`ve got waiting lists!“ Phillips likes the sound of that, though he sympathizes with the kids, having been one for a long time himself. Phillips` published resume, called “Milestones in the Life of Howard Phillips,“ begins, “July, 1958-Howard plays his first games to amuse himself in the back of his family`s station wagon on the cross-country trip (from Pittsburgh) to Seattle, their new home.“ Phillips does not recall precisely which games he played. “I was only 6 months old at the time,“ he explains. “In preschool,“ the resume goes on to allege, “Phillips is recognized as fastest truck pusher,“ in elementary school as “fastest tree climber,“in high school as “having best ball control“ on the soccer team. The last claim may actually be true. Not until July, 1979, did Phillips play his first video game. That one he remembers: “Pong,“ the video arcade game invented by Atari founder Nolan Bushnell in 1972 that gave birth to the industry. Phillips was hooked. That was in 1981, the year Nintendo Co. Ltd. of Kyoto, Japan, established its beachhead in Redmond, Wash. A maker of miniature playing cards for a Japanese game called “Hanafuda“ since 1889, Nintendo had entered the electronic toy industry in 1970, introducing a hand-held computer game with a liquid-crystal screen, then moving into video games in a big way. Phillips was in the right place at the right time. “When I started at Nintendo, it wasn`t because it was a video game company; it was just because it was work,“ he recalls. “But just like at a car dealer`s, when the new models come in, everybody drives them. So I got a lot of exposure to new games and a lot of play time. I was only working part time in the warehouse. But very shortly thereafter I was moved to shipping manager and then to warehouse manager. We were very small then, which I think had a lot to do with my growth in the company. I think I was the fifth person on the payroll. Although the industry didn`t know it, the video game boom was just about over in 1981. That year, according to the Wall Street Journal, the arcades took in $8 billion worth of quarters; the upstart home video-game industry, which the arcade games had spawned, reported sales of $1 billion. In 1982, the arcade business slumped, but home video-game sales shot up to $3 billion. It was the prelude to a nightmare. In 1983, home video-game sales plummeted to $2 billion, in 1984 to $800 million, in 1985 to $100 million. In three years, 99.9 percent of the business had disappeared like so many dots gobbled up in a “Pac-Man“ maze. The home games had always been an inferior product, lacking the arcade games` superior animation, highly detailed graphics and “depth,“ the industry term for complexity, which translates to lasting play value and, in the arcades, tons of quarters collected. Nonetheless, the home versions were popular, and dozens of ad hoc companies tried to grab a piece of the action, introducing cheap imitations that glutted the market. Dumping and discounting reduced the prices of game cartridges that once had sold for $35 to as little as $5. Dozens of incompatible game systems, inconsistent prices and hundreds of new software titles appeared simultaneously, infuriating parents, boring their children and disillusioning retailers. “The kids would master the games in a matter of days and then throw them in the closet and not want to play anymore,“ Phillips says. By the end of 1985, many of the first-generation video gamemakers had vanished or gone into home computers. Warner Communications, which had bought Atari from Bushnell for $28 million, sold the company at a fire-sale price. Coleco quit making games and tried, unsuccessfully, to market a low-end personal computer. Mattel closed its electronics division, leaving the TV spokesman for its Intelevision system, George Plimpton, with nothing to do but edit the Paris Review, write books about sports and pursue his passion for pyrotechnics as fireworks commissioner of New York City. For several reasons, it was a risk worth taking. An advanced game system called Famicom (for Family Computer System) already had made it in Japan to the tune of 6.5 million hardware units sold, the same number of NES units Nintendo has since sold here. Both new systems represented a substantial technological improvement. In Japan, Famicom is even used to play the stock market via telephone modem to the Tokyo Stock Exchange. Famicom also supports a computerized knitting machine, a disk-driven facsimile system and an external disk drive. A 48-pin expansion slot concealed in the base of the American NES will allow it, too, to be expanded. But the immediate problem in 1985 was to keep the new system from going the way of its predecessors, so Nintendo had a plan to keep its product under tight controls. Each of its software licensees (30 of them now) may make no more than five new games for Nintendo each year and none for its competitors. Like the games Nintendo itself produces, all the licensed games must pass the Phillips fun test. “To stop unauthorized products,“ Phillips says, “we`ve put a security system in both the hardware and the chip. A special chip in the hardware shakes hands with a special chip in the software. So only Nintendo-approved software will play in Nintendo hardware.“ The handshake is patented and easy to detect; it`s also expensive, another deterrent to counterfeiting. Many of the Nintendo games replicate the appeal of the arcade favorites; some are clones. In many of the games, as the action moves to the edge of the TV screen, the picture scrolls as if panned by a movie camera. In all of them, the graphics are crisp and colorful; the sound tracks are full of bells, whistles, beeps, honks, explosions and noises unknown in the world of reality. The animated characters are lively, and many of the games are damnably difficult to master; most are full of amusing surprises. The $100 NES Action Set, “Super Mario Bros.,“ shares a cartridge with a light-gun game called “Duck Hunt.“ When you shoot down a duck, a hunting dog pops up from the weeds, grinning and holding the duck like a trophy. When you miss, the dog pops up, paws over mouth, giggling maniacally. Everyone giggles back the first time; nearly everyone who repeatedly misses wonders why you don`t get to shoot the dog at the end of the game. Although “R.O.B.,“ a miniature programmable robot packed in the introductory Nintendo Deluxe outfit, which listed at $199, turned out to be a dud, the New York market test was a success, and the home video-game market suddenly was revived. Atari, which had a vast library of games already on hand, moved quickly to develop a high-end game system, the XE, and the American company Tonka joined the Japanese company Sega, to produce software for Sega`s arcade-quality Master System. But Nintendo`s shrewd planning had ensured its dominance. By the end of 1986, the company claimed 72 percent of the market. In 1987, a post-Christmas season survey of retailers by the magazine Toy & Hobby World ranked the Nintendo Entertainment System not only as the best-selling game but the best- selling Christmas toy of any kind, in both dollar volume and units sold. No one will be astonished if the company posts similar results in 1988. As for Phillips, the inveterate games player with the nerdy tie, says he`s become a yuppie. He offers in evidence his enrollment in an MBA program, his Seattle townhouse, complete with wife and two children and, above all, their newly remodeled kitchen.